March is here! I love this month, because it's my anniversary, my birthday, and also: it finally starts to warm up! I hope this fun desktop helps to brighten you day! 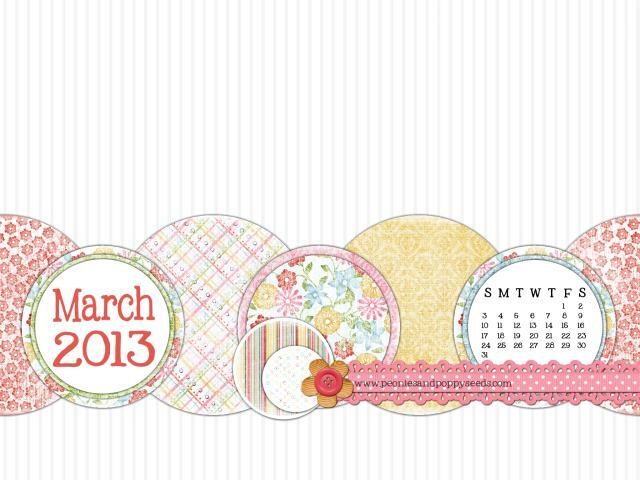 This months desktop was made using My Memories Suite, and a free kit from Summer Driggs! My Memories Suite software is beyond user friendly, and to find out why it's our favorite, visit this link. You'll get a $10 coupon off your software purchase PLUS a $10 coupon to use in the My Memories Suite store. Enter code STMMMS32407 at checkout.